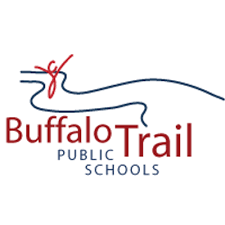 Buffalo Trail Public Schools Commits to Student-Centered Learning! 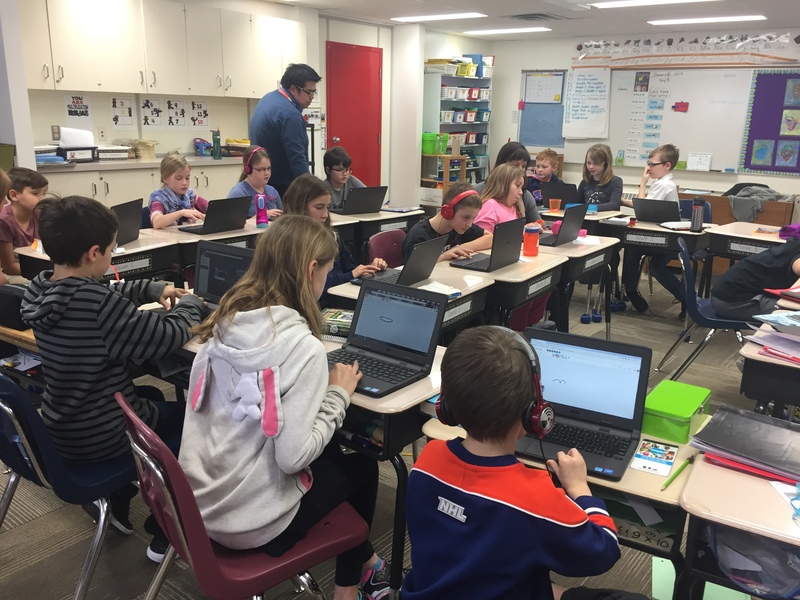 Located in Wainwright, Alberta Canada, Buffalo Trail Public Schools is committed to maximizing student learning in a safe and caring environment supported by a highly effective team. This school authority serves approximately 4,000 students in grades K-12 in East-Central Alberta. This guest post was written by Heather Rentz and Xay Saysana, Innovation Coaches at Buffalo Trails. You can follow them on Twitter @Heather_Rentz & @MrSaysana. coding to be more about intellectually engaging our students. We chose Tynker because coding is fast becoming a new type of literacy that should be available to everyone. Coding is a necessary tool in this century; becoming literate in code is as essential to being literate in language and math. Our students are not intimidated to try coding and because of this, we want our students to be critical thinkers and reflect on their learning. Using coding in the classroom encourages collaboration, communication, innovation, problem-solving, and personal growth. The Tynker platform gives us a way to manage this type of learning and keeps things interactive and engaging. It takes some of the stress away from our teachers to just concentrate on the learning and not the platform or background details. Learning to code is valuable across the curriculum. We believe that creating a culture of “future-ready” coders can provide students with skills that will follow them into adulthood. We need coders so we can lead our students to become a generation of lifelong learners. At Buffalo Trail Public Schools we support thinking and planning as we move forward with creating optimal learning environments for our staff and students. We believe that effective teaching and learning can only happen when an Optimal Learning Environment is in place. In an Optimal Learning Environment, the social and emotional elements of learning are prioritized and understood to be the foundation of academic success and personal well-being. Optimal Learning Environments begin with a positive, productive school climate and provide intellectually and emotionally safe, stimulating classroom communities that are personalized and co-constructed by adults and students. They are characterized by kind, caring, and respectful adult, adult-student, and peer relationships that cultivate a sense of belonging and foster academic, social, and emotional skills. Optimal Learning Environments reflect a belief that all students can achieve high standards. Within an Optimal Learning Environment, the diverse needs of each learner are addressed with an ever-present attention to equity and continuous academic, social, and emotional growth. Our district has prepared a four-year technology that is used to support student-centered, personalized, authentic learning for all students. Teachers, administrators and other educational professionals read, review, participate in, share and apply research and evidence-based practices to sustain and advance innovation in education. The BTPS Technology plan has the following guiding principles and beliefs: Digital citizenship will be a focus of instruction in using technology within our lives. Students and staff will have equitable access to technological tools and processes that impact their lives and workplaces. Technology knowledge, skills, and aptitudes are critical requirements for social, political and economic citizenship in Canada. Technology supports project-based collaborative learning opportunities for students in the classroom and beyond. Technology personalizes learning and provides an alternative and enriched educational opportunity. Technology processes support the development of higher-order thinking and can provide customized learning, anytime and anywhere. Technology is integral to the student’s learning environment above and beyond the school environment and school day. Develop collaborative problem-solving- working together to solve a common challenge, which involves the contribution and exchange of ideas, knowledge or resources to achieve the goal. Using Tynker in our schools supports student-centered, personalized and authentic learning for all of our students. Our division believes that ultimately, the power of technology should be harnessed to support innovation and discovery, not simply to aid teaching. We need to engage learners to use new technologies as designers and creators of knowledge. Tynker provides our students with an opportunity to use digital technology collaboratively and to demonstrate critical thinking, problem-solving, communication, and creativity. Through coding and programming, our students develop positive relationships with their peers. Tynker encourages co-creation and design that provide our students with safe and engaged interactions. The teamwork approach to Tynker creates an inclusive community where all aspects of diversity and learner variability are understood, expected and welcomed. Thanks to Tynker our students have multiple pathways to learn and to demonstrate their learning which will help support their college and career readiness.